Lead nurturing requires effective communication and building a relationship with customers. It takes practice. In their time creating tools for other marketers’ lead nurturing campaigns, HubSpot has built an impressive lead nurturing program of their own. HubSpot’s Product Marketing Manager, Jeffrey Russo, shared with us their in-house lead nurturing best practices. 1. Create content that customers will love and want to share. Successful marketers are moving away from a self-centred strategy, and adopting a more customer-centric one. Why is this a key to success? Customers will actually want to see emails directing them to your carefully thought out, well-written content that is useful and benefits them in some way. 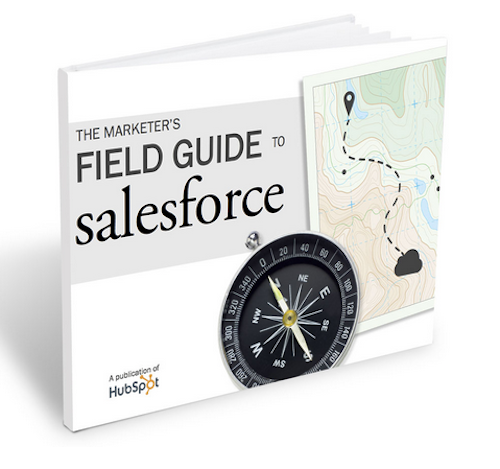 A great example of content that does exactly this is HubSpot’s The Marketer’s Field Guide to Salesforce. Upon realising that many of Salesforce’s customers were also suitable target customers for HubSpot, they created a document for marketers, covering just about every aspect of Salesforce they needed to know -- including methodology and best practices. This document was downloaded nearly 8,000 times, even though it barely even mentioned HubSpot. Why? Because the information was valuable to the customer, and it wasn't overly promotional. If you want to keep your prospects moving along the funnel, it’s important to create content that is genuinely useful for your customer base. Doing this helps build trust with the prospect and shows that you’re interested in more than simply closing a sale. 2. Segment your leads to better serve them. Segmentation is another crucial component to effective lead nurturing. To effectively nurture leads, it’s important that you send tailored messages that speak to your prospect. And segmenting your leads is one way to make sure that the right message reaches the right person. While creating logical and effective segmentation can seem like a daunting task for many marketers, it’s important to do if you want to see better returns on your campaigns. 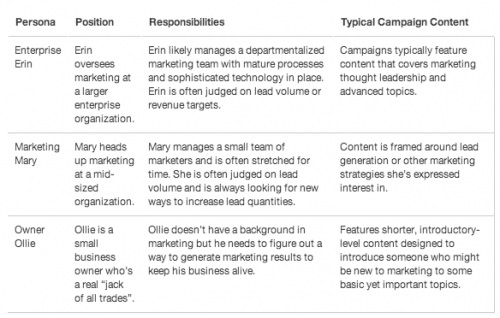 HubSpot divides their lead nurturing campaigns into two groups: persona and lifecycle stage. 3. Utilise tools other than email. Having a focused email marketing strategy can be a great asset to marketers. But it’s not the only option, and sometimes it’s hard to see past something that is working well. There are many other points of contact on your site that prospects can get to in many different ways. That’s why it’s important to create personalised Calls to Actions (CTAs) to your site visitors. HubSpot has created a SmartCTA tool that allows them to create and place CTAs based on their segments. This way, certain CTAs are only seen by the specific segment that HubSpot wants to have see it. Effective lead nurturing takes time and practice, but the important thing for marketers to remember is that quality lead nurturing takes time to develop. And if you try to take on everything at once, it can be easy to feel overwhelmed by the size of the task at hand. To keep from becoming overwhelmed, HubSpot recommends that you start with your biggest groups of leads first and then work from there. By starting with your biggest group of leads, you can quickly gather feedback on what works and what doesn’t. Then you can apply these lessons to future programs as you scale up your lead nurturing efforts. 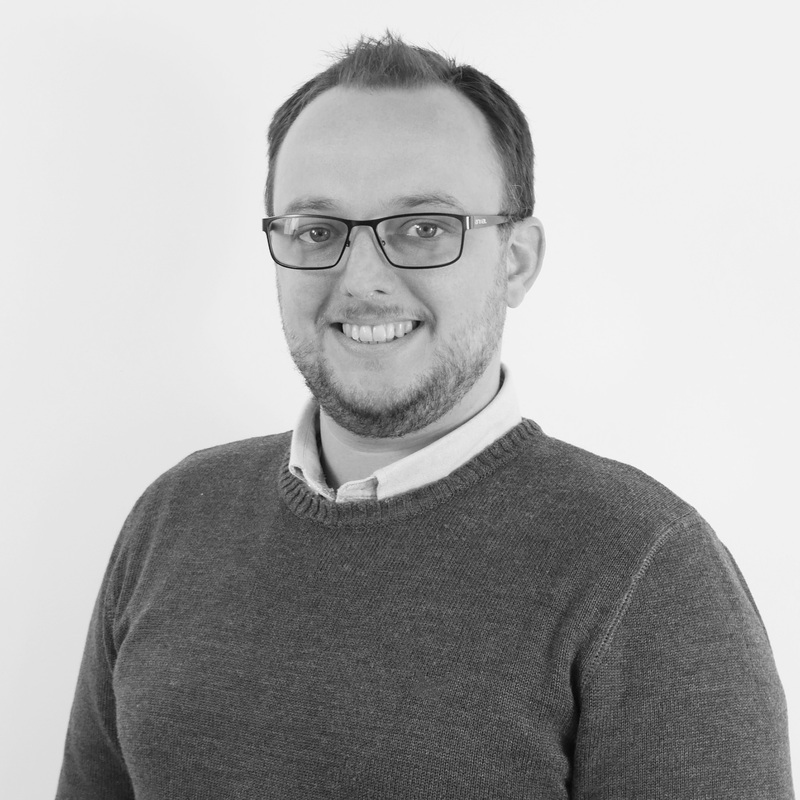 Once you figure out what works for you, then you can focus on the minutia and optimise your lead nurturing campaigns. What other lead nurturing tips do you have? Share your thoughts in the comments below.